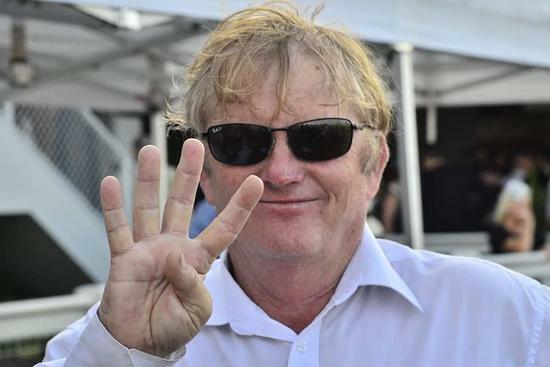 Trainer Kelly Schweida and jockey Jimmy Orman dominated the Doomben meeting when they combined for a career-best four winners. The duo were successful with Pocket Pistol ($3.50), Gala Miss ($2.70), Desert Man ($7) and Double Superlative ($10). Desert Man completed a remarkable comeback to racing after suffering a career-threatening injury. “I was spelling him at home one day and he reared over the gate and his hoof got caught through the chain and he squashed it like a marshmellow,” Schweida said. “He had a long time off and when he came back into the stables little things kept going wrong over a six or seven-month period. Orman was forced to switch course in the straight after Desert Man was baulked by Ahwahneechee near the 200 metre mark before scoring by a nose. Double Superlative was given the run of the race by Orman, holding off the challenge by El Campeador to score by 1-1/2 lengths. “I’ve ridden four winners at Rockhampton but this is the first time I’ve done it in the city,” Orman said.